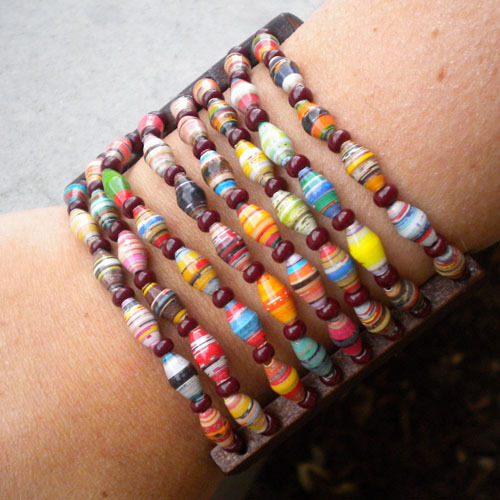 This is another example of turning a piece of jewelry from ordinary to extraordinary with paper beads! 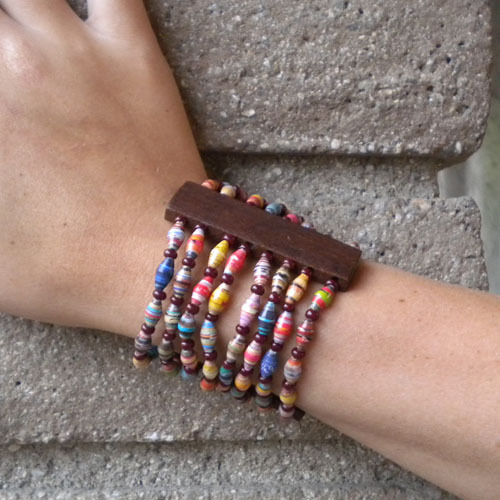 Kayla found this wood bracelet at our favorite shopping place – the 99 cents store, you can wear it as it is I guess but then it looks so ordinary, you take out the wood beads and replace it with paper beads and BOOM! you have a nice piece of jewelry. 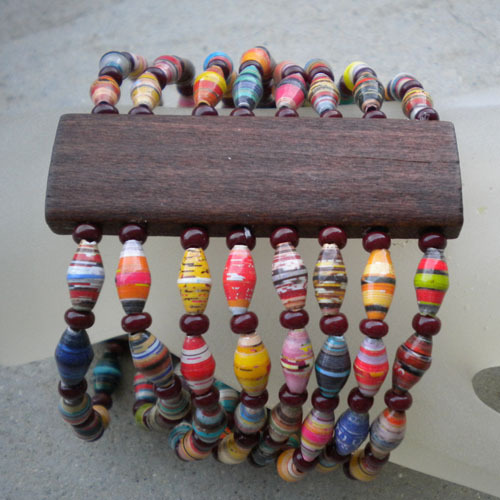 We substituted the wood beads (set aside for another project) with olive shaped paper beads and just used elastic to string them. 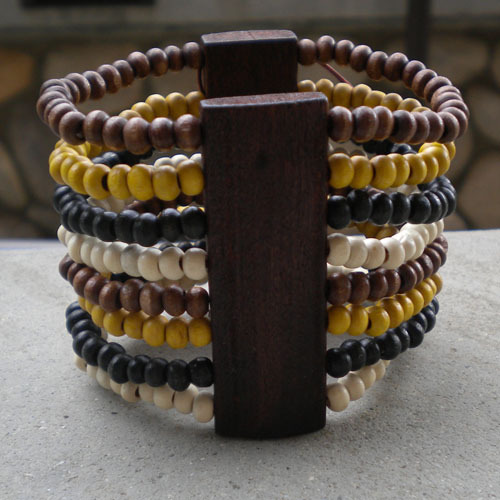 Can also be worn this way. Another day of taking ordinary to extraordinary! Thank you for visiting. I love this one the colors are so vibrant, and it looks very simple to make.I’m going to have to keep an eye out for a finding like that one.